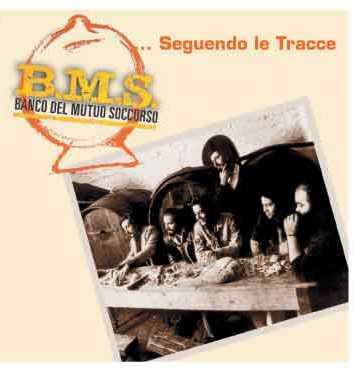 This live-CD from 1975 by the Italian progrock legend BANCO showcases the band at their artistic pinnacle. Their sound is based upon the magnificent, omnipresent duo- keyboardplay (organ, synthesizers, acoustic - and electric piano, strings) by the Nocenzi brothers and the powerful voice from Francesco Di Giacomo, loaded with pathos. The tracking-list is great featuring "R.I.P." (beautiful interlude delivering moving piano, vocals and acoustic guitar), "L'Alberto Del Pane" (splendid varied keyboards), "La danza dei gandi Rettilli" (a swinging blend of symphonic, blues and jazz), "Passagio", "Non mi rompete" (pleasant acoustic guitarplay), "Dopo . niente e piu lo stesso (wonderful sumptuous keyboards and great vocals), "Traccia II" (fine acoustic pianoplay along trumpet and synthesizer) and an extended version (at about 26 minutes) of "Metamorfosi" (including a long and virtuosic piano solo and lots of exciting keyboards and shifting moods). If you do not own records from BANCO, this one is a perfect start. I have a lot of records from BANCO in my collection but this will be my favorite!